The child is born and his name is “success.” Let the Capital City rejoice. The Atchison, Topeka & Santa Fe Rail Road will be built beyond a peradventure. Work will commence immediately. Please inform the good people of Topeka and Shawnee County of the brilliant future awaiting them. With this letter, funding for the railroad was secured, and the construction of the AT&SF railroad began shortly after on October 30, 1868. The railroad cemented Topeka as key player in the succession of westward expansion and the commerce that followed. 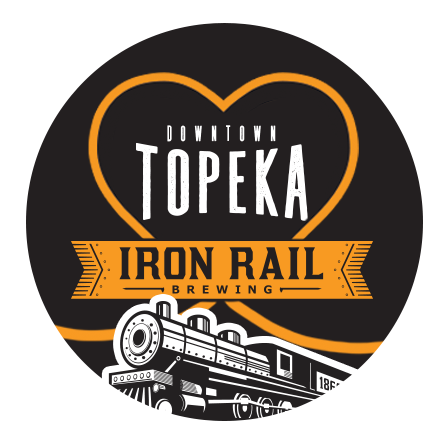 Now, 150 years later, in the building that housed Por’e Richards, a beloved Topeka establishment, Iron Rail Brewing pays homage to the legacy of the railroad, as Topeka rolls into its own brilliant future. never miss a deal from irb. sign up below.